Most yogis are interested in the class schedule when they visit a profile, and most inquiries on YogaTrail pertain to schedule requests. 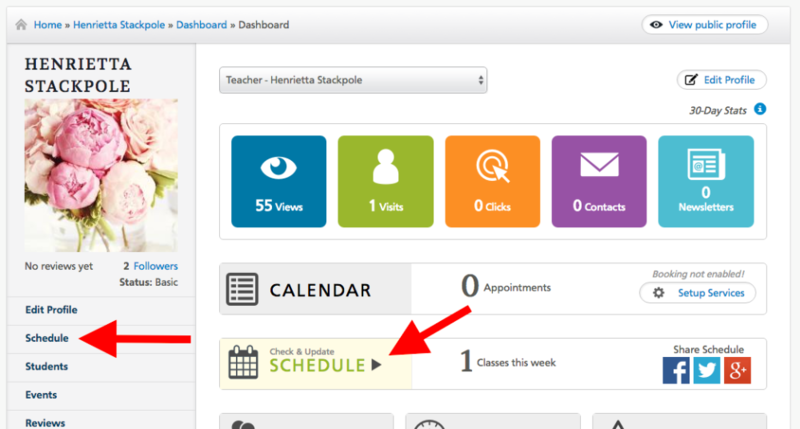 Teachers and studio profiles can publish their full class schedule, and it's a great way to not only be found by new students looking for classes in your area, but also to keep your existing students in the loop: all your followers automatically subscribe to your schedule and get notified if you add, change or cancel a class. 3. Then click on your 'Classes' tab, and on the orange button 'Add Class'. You'll then see a form that lets you add the details for your class. Start with the class title and description. 4. Next you'll need to add the times and dates for your class. Clicking on either the 'start time' or 'end time' field opens a box that lets you choose the time. On the public view of your schedules, class times are displayed in am/pm format. You can then also indicate if your class happens every 1, 2, 3 or weeks. Next, teachers will need to indicate where the class takes place, and studios will need to indicate who teaches the class. This information is mandatory in order to create a class. 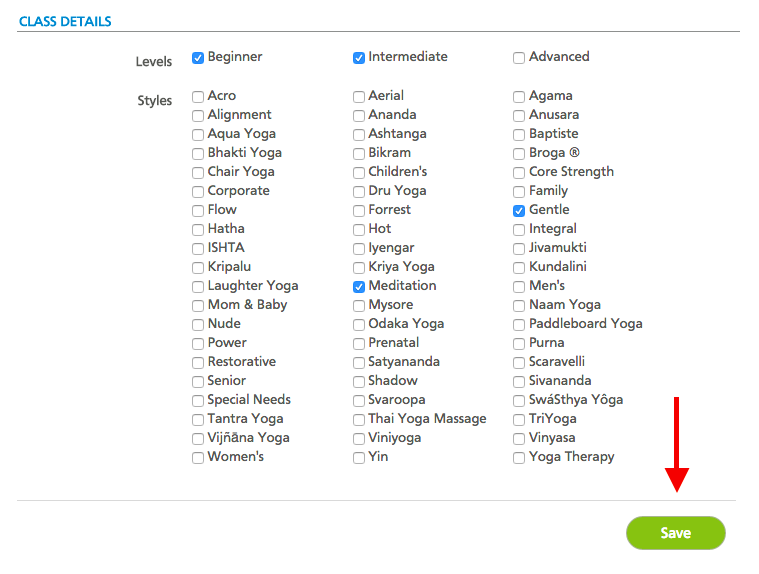 Every class on YogaTrail has a teacher and a location. The price of your class: You can indicate if the class is by donation or requires a membership. If your class is free, simply put "0". You can also select your currency from the dropdown menu. The class level and styles. These selections will help yogis who are looking for particular styles or levels. Once you've saved your class, it will appear on your schedule. From there you will be able to edit a class or cancel it. To make changes to your class (edit or delete) hover your mouse over the class you wish to change and the edit and delete icons will appear. Note: when you edit a class please remember to click 'save' for your changes to take hold. To add another class, simply click the 'add new class' button at the top of the page again. After completing your schedule, share it on social media, to let your students know that they can follow your profile on YogaTrail and get all your news, updates, and schedule in their Class Guru!